Watchscapes: High Resolution Photography by Peter Chong: IWC: vintage Ingenieur, such a beautiful watch. 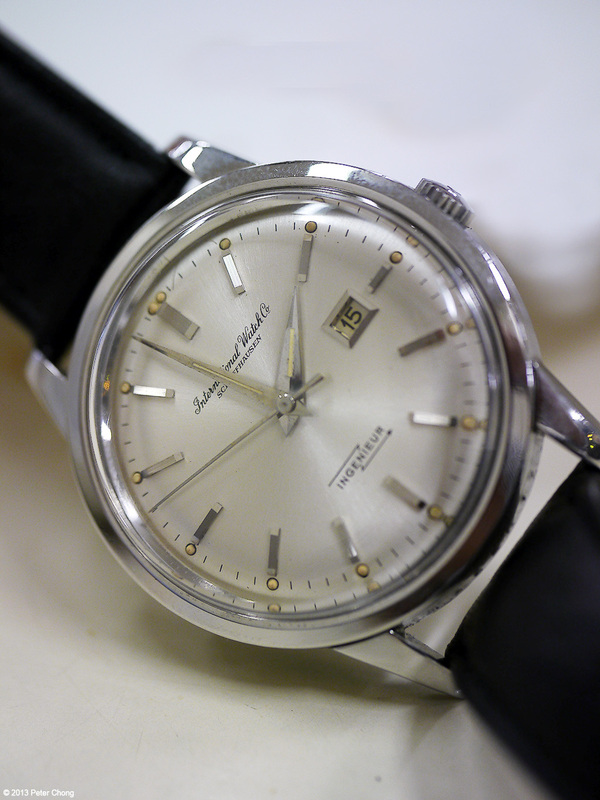 Quickshots Friday returns with another amazing vintage watch from my friend Dr. Stefan Ma. 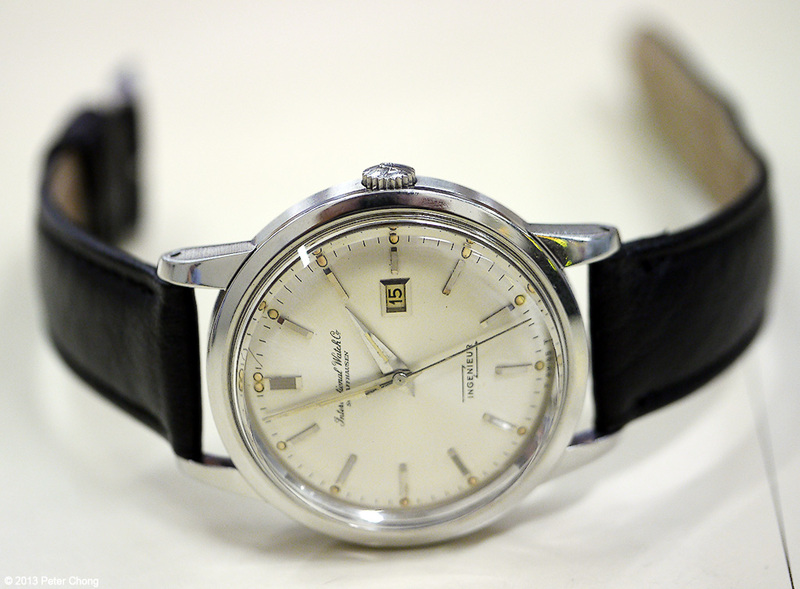 Magnificent, beautiful vintage IWC, when they did things the right way. Just the beautiful script "International Watch Co." is just beautiful. Soft iron core protects the movement from magnetism. The pure, original idea of a watch for an engineer who may have to work around magnets. Brilliant. Simple, elegant. Pure vintage. Photograph shot in a poorly lit coffee shop, on the table top, with the waitress harrassing me to finish with the photograph already, as she wanted to serve the coffee. Gerald Genta revolutionalized the Ingenieur with his design of the octagonal bezel, were the current models still draw design cues from.